Happy Cinco de Mayo!! Figured I would share this blog favorite recipe. I love having mexican night at our house. I try to make something different everytime. 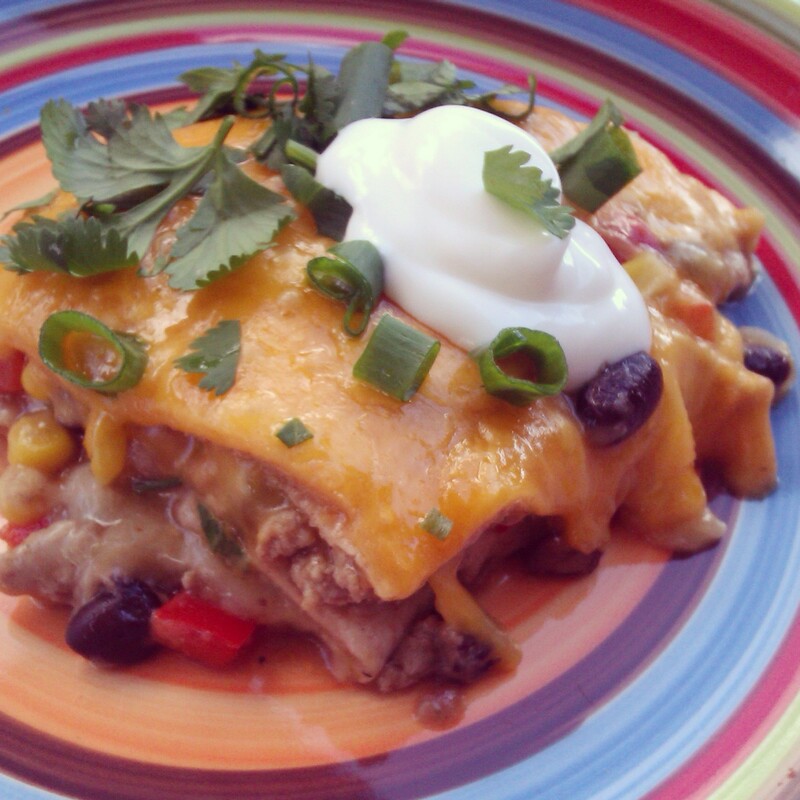 I think this Mexican Lasagna is now on the list of favorites; probably #1. This dish is super easy to make, and I’m sure the family will love. Instead of using pasta I used whole wheat tortillas. I hope you enjoy!